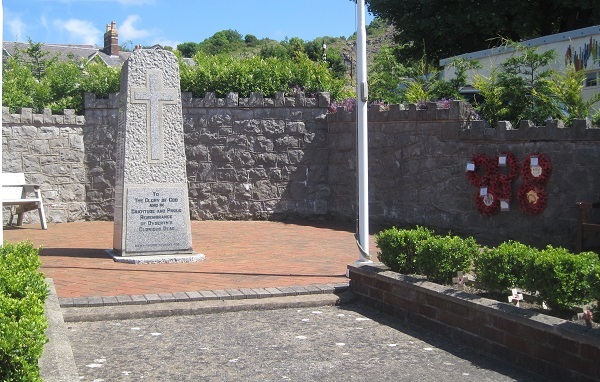 Dyserth Parish Council Minutes give an insight into how the memorial came about. 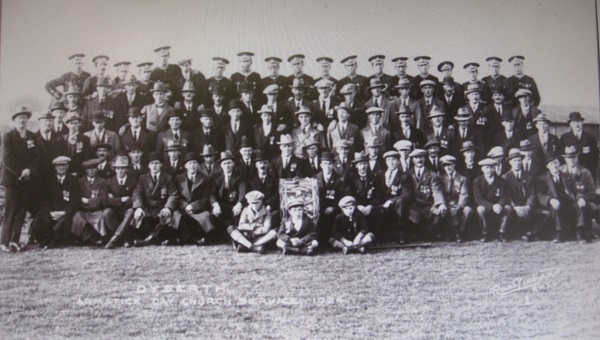 Like most places in Wales, Dyserth had lost its fair share of young men in the Great War. 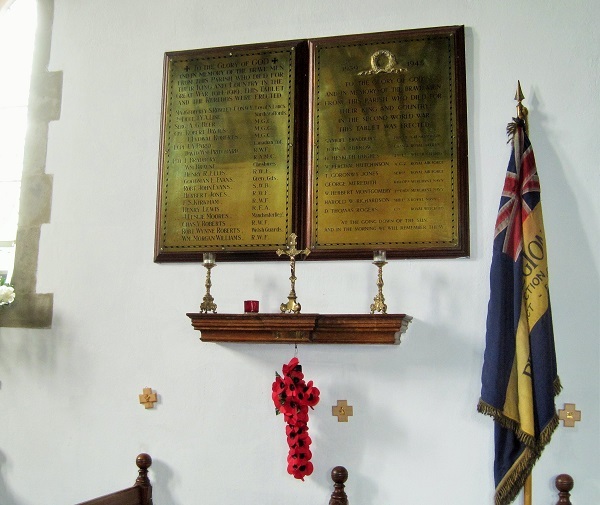 On January 25th 1918 the Parish Council decided to call a public meeting to discuss a war memorial for the village. This took place the following month at the school. The meeting was chaired by the vicar, J Evans Jones, who played an important role in assisting and supporting the families of the young men who had gone to war. J Evans Jones was joined on the platform by the chapel minister, the Reverend R P Hughes, who no doubt would have spoken passionately on the issue. Thus the proposal to commemorate the young men of the village was carried unanimously. The options were discussed in next Parish Council meeting and a large majority voted in favour of a hall for the parish. A “strong” committee was to be formed to investigate – this to be called the Parish War Memorial Committee. Then in July 1918 the “chairman referred to the sad news from the battlefields of France of the death of the only son of Mr Moores. Sympathetic remarks were made and extended to him and his family.” Mr Moores, a native of Manchester, was a longstanding member of the Parish Council having settled in Dyserth following retirement. During the 1930’s there were very few references to a war memorial. In 1938 the Council decided to invest the fund of £42/10/- (forty two pounds, ten shillings) in War Savings Certificates. Before long Britain was once again plunged into war and, as before, men from Dyserth were sent all over the world to fight for King and country. Inevitably some did not return. After the Second World War, in December 1945, the Council received a letter sent on behalf of the Lord Lieutenant of Flintshire. It requested that “a person be appointed to take responsibility for collecting the names of all members of the forces from the parish of Dyserth who had served overseas.” A County War Record was to be compiled. The request brought the question of a war memorial onto the agenda once again. It was suggested that the names of the fallen should be inscribed on memorial gates at the main entrance to the proposed Recreation Ground which was, at that time, in the planning stage. It was to take a further five years before a war memorial was finally erected. 1946 was largely taken up with deciding on what form the memorial should take and nominating an appropriate site. 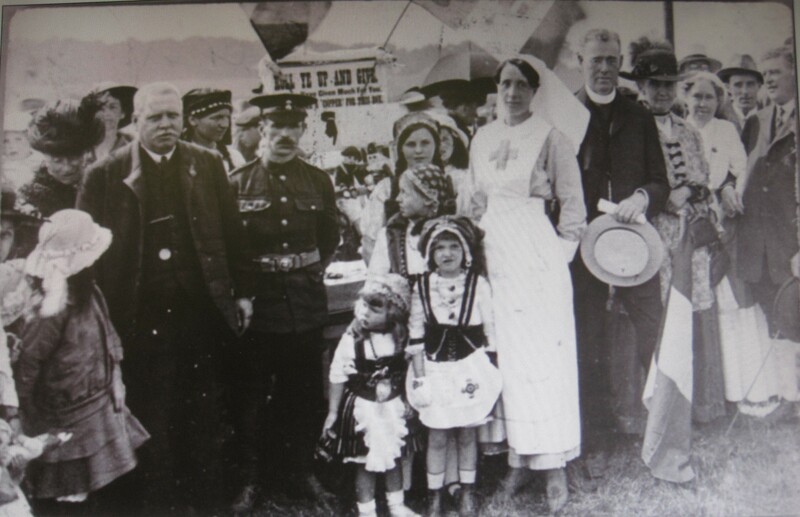 A public meeting was called in which Miss Ethleen Williams, Clwyd Villa, proposed that “A memorial be erected in a secluded spot to the memory of the fallen in both world wars.” There was unanimous agreement. It was decided that the war memorial should be a rough block of granite with plaques commemorating the names of the fallen in both World Wars erected in a garden of remembrance. A new committee was formed to look at possible sites. Mr Cartwright, the vet, was a member of this committee. Despite his kind offer the process did not run smoothly for Mr Cartwright and his sister. It took a long time to reach an agreement on the boundary with his neighbour, Miss Hatch of Liverpool House. The Council wanted to replace the rear wall in the Garden of Remembrance with hedges – which was not to his satisfaction either. The minutes indicate his frustration by the lack of progress. 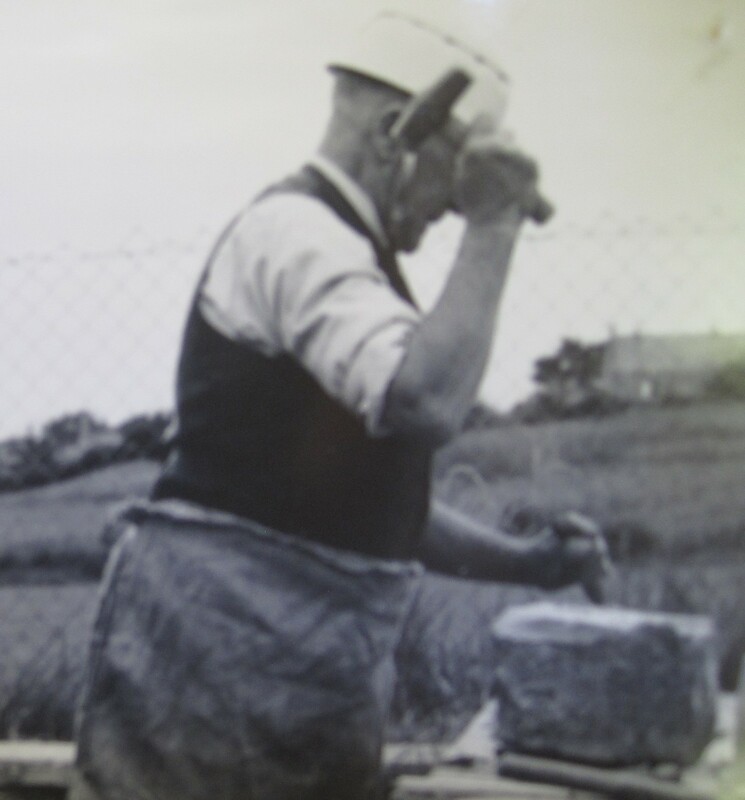 Early in 1948 the Council decided on a memorial of Cornish granite at £345.00 with an additional £40.00 for lettering in lead. Isaac Hughes and the Rev. Henllan Jones proposed that the inscription “Mewn anghof ni chant fod” (“They shall not be forgotten”) be included on the base. An appeal was launched to pay for it. The sum of £800 was deemed sufficient to cover initial cost and future maintenance. A house to house collection took place and by December a total of £535.00 had been raised. Finally, on the 4th of November, 1950 the arrangements were made for the dedication of the Garden of Remembrance and the unveiling of the Memorial. It was to take place at 3.30pm on Sunday the 12th of November. Mr Cartwright was to be asked to open the gate into the garden and the unveiling would be performed by Mrs Goodman Williams who had lost her only son, William Morgan Williams, in 1918. Mrs R D Jones, Glasfryn, would represent those killed in World War 2. 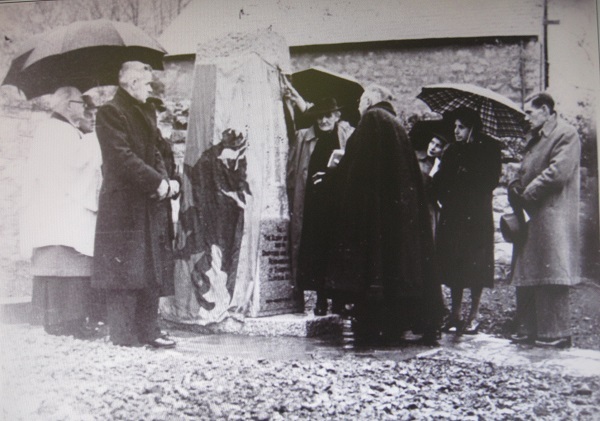 The unveiling ceremony in November 1950. Mrs Goodman Williams standing next to the memorial with the vicar, Henllan Jones. The service was held on the appointed day. The singing was led by Mr David Hughes and wreaths were laid as they have been every year since. At last the village had a fitting memorial to the young men who had perished. 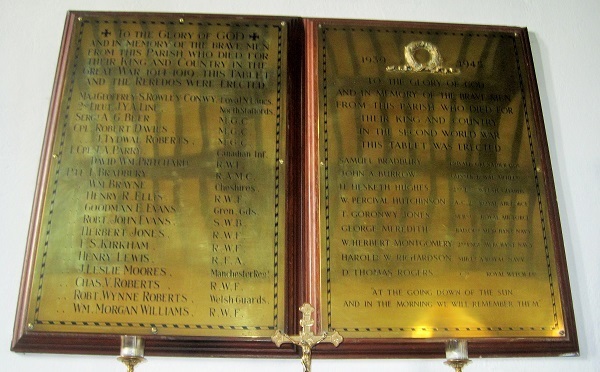 A second memorial can be seen in the Parish Church, along with a plaque commemorating the life of Griffith Edwin Rhys Thomas. Having researched the names on the memorial many questions have come to mind. In particular, how and when were the names put forward? The 24 men whose stories have been uncovered are a diverse bunch. Some were true “village lads” – born and bred in Dyserth. Most of them Welsh speaking. Others had family connections with the village. John Young Alexander Line is the only one where I have not been able to find any connection with Dyserth. Conversely there are others who, although associated with Dyserth, are not named on the memorial. Many are named on more than one memorial both within the county and beyond. A plea: if you have any further information about any of the soldiers, do please contact us so that we can add to their stories. 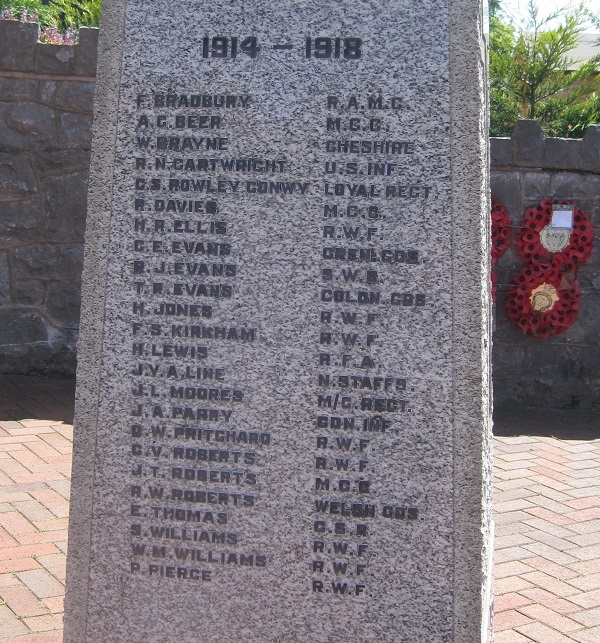 Finally I should like to acknowledge Alwyn Evans of Clwyd Family History Society for his initial research on the Dyserth War Memorial; Sarah Hodnett, Rhuddlan History Society, for her contribution to the story of Geoffrey Seymour Rowley Conwy and Peter Robinson who hosts the Dyserth website. Others have been acknowledged on the individual soldier’s page – with apologies to anyone who has been omitted.